Party A shall provide the tea products and accessories according to Party B’s order and requirements. Party A shall guarantee the high and reliable quality and competitive price with these products. Party A shall ship the order around 25 days after receiving the payment. Party A should provide appropriate E-commerce site and functionalities on www.teanet.com.cn for Party B. Party A should provide Party B with marketing and promotional information periodically. As Party B requires, Party A shall advertise Party B’s distributor status and promoting Party B’s business and products. In order to encourage and promote the coordination between the two parties, Party A shall provide the same distributor incentive program to Part B as all the other global distributors. http://******.teanet.com.cn and email of ******@teanet.com.cn to party B for its benefits. In consideration of the sales center granted herein, Party A shall not, directly or indirectly, sell or export the teas and tea accessories to buyers in ****** through channels other than Party B. Party A shall refer to Party B any enquiries or orders from ****** buyers about the all products provided by Party A during the validity of this agreement. However, if any other buyers outside of ****** wish to deal with Party B directly, Party B shall ask for the permission form Party A before selling to them. Party B shall display the licence plate of “****** Distributor of CTN” provided by Party A inside of the company. As an importer, Party B should cooperate with Party A on the importing and exporting issues. Both parties are interested in building a long-term partnership. During the effective period of this agreement, Party B shall not initiate other businesses with other suppliers who supply the same products as party A in China other than Party A. Party B shall promote and sell the products on a best effort basis, try to reach the maximum number of potential customers within western Africa, and try to achieve the purchasing amount of $20,000 for the first year, $50,000 for the second year and $100,000 for the third year and after once this agreement is in place. Party B shall provide Party A with annual reports, which shall include sales report, feedback information, market forecast and production planning. Party B shall make at least on order every six month. Both Parties shall behave based on standard business practices and business ethics. Both party will sign the sales confirmation and contracts for any specific orders according to the relevant laws and standards of international trade and both parties applicable territories. This Agreement, after the first order is made by the party B, shall remain in force until both parties agree to terminate this agreement. As the distribution center, Party A shall use the best effort to promote products provided by Party B to reach its market potentials. Party B shall provide Party A with the required information and marketing material to promote the products through e-mails. Both parties may start other cooperation projects based on further negotiations and other written agreements. All disputes arising from the execution of this Agreement shall be settled through friendly consultations. 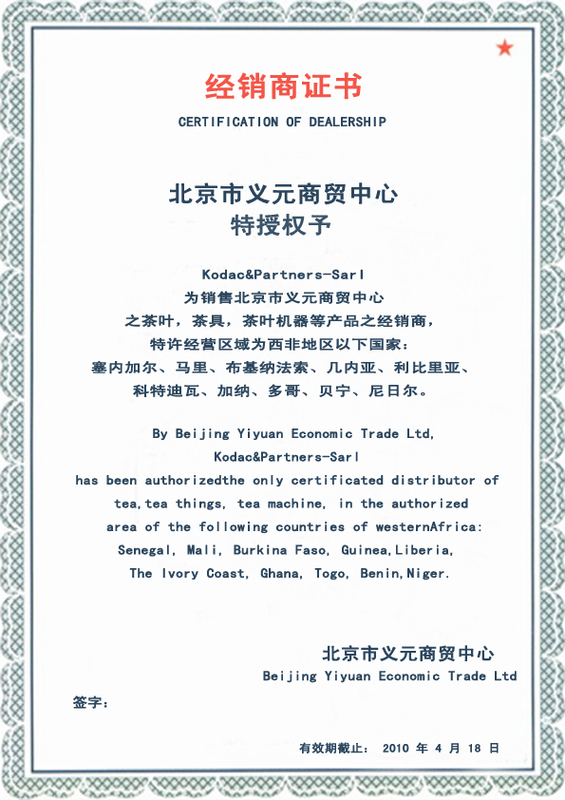 In case no settlement can be reached, the case in dispute shall then be submitted to the Foreign Trade Arbitration Commission of the China Council for the Promotion of International Trade for arbitration in accordance with its provisional rules of procedure. The decision made by this Commission shall be regarded as final and binding upon both parties. Parties hereto have signed this agreement in two (2) copies as of the date first above written. This contract contains a binding arbitration provision which may be enforced by the Parties.